SR535 is designed for monitoring Pt100 signals in the process industry. The unit gives alarm functions for either increasing or decreasing temperatures and for certain error states. 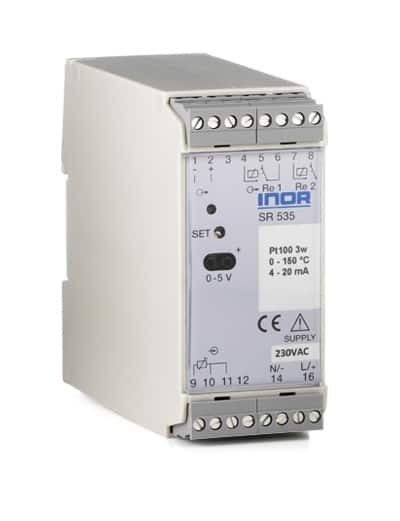 SR535 provides a temperature linear output signal, 4-20 mA, corresponding to the measurement range.